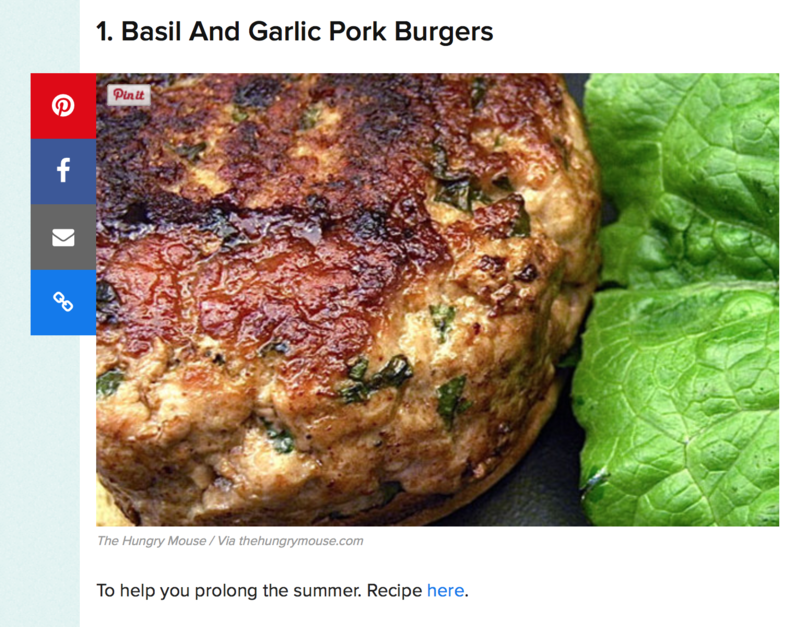 Many thanks to Buzzfeed Community for featuring my Basil and Garlic Pork Burger recipe recently. They call it a way to prolong summer, which I am ALL for! See the full list of 9 Totally Normal Things To Do with a Pig, or get my recipe here.